Provide comfort for the family of Ginger Kothen with a meaningful gesture of sympathy. 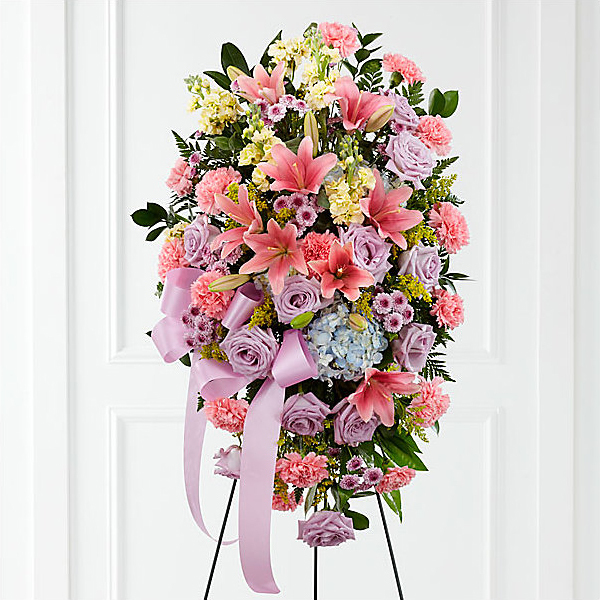 To send flowers in memory of Ginger L. Kothen (Faley), please visit our Heartfelt Sympathies Store. We encourage you to share your most beloved memories of Ginger here, so that the family and other loved ones can always see it. You can upload cherished photographs, or share your favorite stories, and can even comment on those shared by others. With love, Brandon & Brynn, The Snyder Family, and others have sent flowers to the family of Ginger L. Kothen (Faley). My condolences to the family of Ginger Kothen. Our loving Heavenly Father, Jehovah, has given us the wonderful assurance that we can see our loved ones again by means of a resurrection to an earth transformed into a beautiful paradise. (Acts 24:15). We can always rely on the God of comfort to help us endure any trials or obstacles, especially the loss of a dear loved one. Heartfelt condolences to Ginger's family. Ginger was truly a special person. I am so sorry f or your loss. Ginger was one of the first people I met when I transferred to Buffalo. We became fast friends. She was always helpful and kind helping me get used to the new environment with patience and encouragement. I will never forget her. One of the best, hardworking and helpful Union sisters to everyone. My heart goes out to her family and friends along with all our coworkers who loved her. Rest In Peace dear sister. May the four winds blow you safely home. We love and miss your radiance Mom. We will forever cherish the memories made with you. Forever and always. With love, Brandon & Brynn purchased flowers for the family of Ginger Kothen. Such a tragic loss for all who had the pleasure to know Ginger. Her positive and outgoing behavior was an inspiration to everyone. No matter how her day was going she would always take the time to smile and say hello. Hopefully we can all learn from her upbeat and inspiring attitude. The world is a much better place because of Ginger Kothen. Thank you to her family for sharing her with the people of BSP. May Ginger rest in peace, she so deserves to. God Bless.